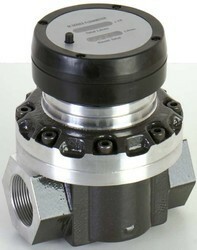 Line Size: 1" - 6"
Industrial Grade Reliable Metering technology designed for demanding site conditions. The flowmeter of the series EE771, based on the measurement principle of thermal mass flow, is ideally suited for the measurement of flow of compressed air and gasses. Measurement of for instance the usage of compressed air, nitrogen, oxygen, CO2 or other non-corrosive gasses. The flow meter of the series EE771, based on the measurement principle of thermal mass flow, is ideally suited for the measurement of flow of compressed air and gasses. 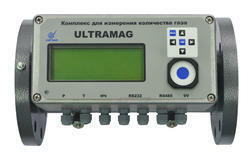 Measurement of for instance the usage of compressed air, nitrogen, oxygen, CO2 or other non-corrosive gasses. We are offering Compressed Air Flow Meter. Flow velocity: Measuring range 0 to 80 m/s or 160 m/s. Flow sensor for compressed air and gases usable from 1/2″ to 12″ (DN300)The VA 400 for consumption measurement of compressed air and gases in a robust housing with actual consumption in m³/h and counter in m³. We have gained a remarkable position in the market that is involved in offering Compressed Air Flow Meter.